Twin size: 60" x 77"
Queen size: 94" x 111"
This could be called the ugly scraps quilt! I took all the fabric that I wondered "why did I buy this" and put those fabrics into this quilt. 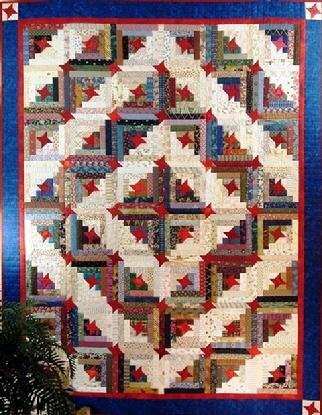 I added pretty reds and a pretty blue border and I had a beautiful quilt that I love.